09 Nov 2018 --- A flash glucose monitoring device made available on prescription across the UK last November is still not available to everyone who may need it, claims a study published in BMJ. According to the study’s findings, about 25 percent of clinical commissioning groups (CCG) do not recommend it to patients, thinking that it is too costly. According to the involved researchers, a quarter of CCGs have strict criteria for recommending the monitor. They focus on their short-term finances instead of realizing how much the monitor will benefit them if Type 1 diabetes patients do not often face complications, as they will be monitoring their sugar levels more efficiently. Many general practices ignore CCGs and recommend the device anyway as they believe it will help their patients. “Unfortunately, the NHS does not have unlimited resources and ensuring patients get the best possible care against a backdrop of spiraling demands, competing priorities and increasing financial pressures is one of the biggest issues CCGs face,” says Julie Wood, Chief Executive of the NHS Clinical Commissioners. The flash glucose monitoring device, called Freestyle Libre and manufactured by Abbott, helps patients who suffer from Type 1 diabetes to monitor their sugar levels. According to Diabetes UK, a flash glucose monitor is a small sensor that you wear on your skin. It records your glucose (sugar) levels continuously throughout the day and you can access them by scanning the sensor whenever you want to. The sensor doesn’t actually measure your blood sugar level, it measures the amount of glucose in the fluid that surrounds your body cells. There is a sensor that sits just underneath your skin and measures your sugar levels. Then you swipe a reader over the sensor to get both your sugar level and the trend of your levels. There are 3.7 million people in the UK that suffer from diabetes and 400.000 of those are suffering from diabetes Type 1. Abbott’s Freestyle Libre is the sole glucose measuring device currently available in the UK and even Prime Minister Theresa May – who uses the device herself – told parliament that it is available through the NHS. However, some CCGs around the country do not actively recommend the device to patients, meaning people suffering from Type 1 diabetes either consider moving to a different general practice who can prescribe it without complications or fund it themselves, says Emma Wilmot, a Consultant Diabetologist. The sensor that goes under the patient's skin needs to be replaced every two weeks and that is a financial strain on people who use the Freestyle Libre without the NHS’s support. Abbott, the company behind Freestyle Libre, shared an official statement with NutritionInsight when inquired on its stance on the matter. Official prescribing data suggests that only two percent of patients with Type 1 diabetes in England are getting FreeStyle Libre on GP prescription, compared to 11 percent in Scotland, 16 percent in Wales, and 35 percent in Northern Ireland. 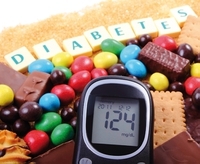 The data was collated by diabetes campaigner Nick Cahm. As of July 2018, general practice prescribing data showed that only two out of 195 CCGs in England had prescribed Freestyle Libre to more than 20 percent of patients with Type 1 diabetes.